This Rum has it all! Full body and long aftertaste! slightly better then the 20 years because of a little bit longer aftertaste and some more body to it. I like! Enrique Iglesias favorite! I was expecting even more from this bottle based on what I have heard and read about it. It has a lot of high ratings if searching around on internet. Value for money Rum! After some years beeing Rum enthusiast i have tested a lo of diffrent Rums. This is good pricevalue Rum! Super Plantation! I have bottle No 428 out of 450! this needs to btief for at least 15 minutes! it is smooth and with body. A really smooth and good Rum for everybody! This Rum coming from house Olivers & Olivers is worth the 40 Euros price and is better then other more expensive rums. I really recommend this one! Complex with some dryness! If it would not be so dry it would have been 10 for me. It wins on briefing for at least 20 minutes. What a Rum! A lot of sherry and simular to. A.H Riise very rare ultra, but this is a little bit better with even more complex and longer aftertaste. Really strong 65%! Let it brief first👍🏻 This could chock anyone! strong that it helpes to let it brief before, But to be so strong really goo! Plantation👍🏻 Simular to other Plantation Rums and I like banana and strong aftertaste. 1423 PX sherry finish Belize 9 years! Strong 44,9% with exceptional long aftertaste! Really strong and good Rum. I can feel some sherry barrels and it is lovelyas a sipper. Better then the Dominican variant. To oaky but still high quality! The bottle is supernice and heavy! this Rum more for Whiskey lovers. Great Plantation again! I will admit that I like a lot of thr different variants of Plantaton, best is XO. Positive surprise👍🏻 I tested this after asking for suggestin on Rumfestival and I liked it a lot. A lot of taste and body with long aftertaste, vanilla and dark amber. 1824 bottle fits my taste better! Sometimes searching for perfection you hope that this bottle would be. Not for me this time, to oaky and sprawling. With so few years its great! It is not often you are surpriesed, this time I am. Round and body with nuts and plum. Good value! A lot of sherry! Sweet with a lotof sherry body, it is not far away from Dos Maderas 10+5 years. Expected more! Miss some body but there is long aftertaste with nice bur, a little bit to oaky for my taste. Long and oaky aftertaste! 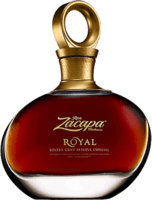 Different then other Rums, oaky and strong with extra long aftertaste. I suggest for your friends that prefer whiskey. Lot of pear and long aftertaste👍🏻 This was a positive surprise for me! the bottle is from 2013 and have also notes from tropical fruits. I like it plain but many use to do Punch. Wnner Rum! 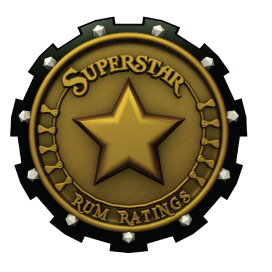 Price value Rum and winner of best Rum up to 8 year 2009. Long aftertaste! One of the best Plantation Rum! It taste vanilla, nuts and chocolate and becomes even better with dark ckocolate. Round and with body! for the price 35 euros it is a bargain. Deliver what expected! I did expect more oaky taste but must admit it deliver a good rum. It feels strong 43% and other tastes come forward with dark chocolate. Really long aftertaste! Nice product! but complex and strong taste. It is not sweet and feels little dry. Worth the money 24 euros in Spain. Good buy! Strong oaky taste with long aftertaste! This is high Agricola Rum quality, cloose to nine but for me to much oak. this i tried in bar but would like to have in my prvate collection. One more Plantation Rum! Smooth sipper with quiet long aftertaste recommended for most drinkers. I did expect it to taste more like the 12 year but heavier! I was a little surprised over it, I expected more full body taste. I did taste it with dark chocolate also and it did improve with longer after taste. 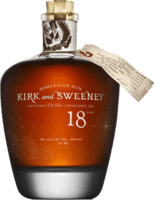 Okay for the price anf if you like Plantation rums! You can feel the Plantation koncept but keep in mind there are a lot of better variants i.e. 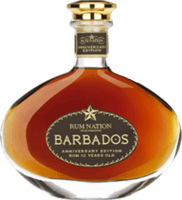 Plantation Barbados XO but also to dubbel the price. Good value Rum! Fruity Barbados stylenotes from a tropical palette. There is almost a creamy texturein the moth. For sipping and drinks. Rum from Jamaica and produced for 1423 by Worthy Park! This Rum is stored in 4 years and 40% strong. It feels mature with some body and ii is very much Jamaica style Rum. Okay Rum! Positive surprise! Feels more mature then 12 year, with body and some aftertaste. 43% strong! I like and would buy again. 48% yeah! this is living for a long time in the mouth👍🏻 It is a lot of arrack and vanilla in this, could have been a little bit more body but a positive surprise. It is not like any other Rum! This is almost like Pyrat but even sweeter. I must admit that I like Rum Companys assortment, It is high quality. Stronger then regular Rums 44,9% A little bit thinn but with long aftertaste. I can not feel that much from sherry barrels. Normal sipper Rum without any extra. Less body then 15 year variant! Oaky taste but becomes better after beeing in the glass for at least 15 minutes. Not bad by I personally prefer 15 year variant more. I prefer 23 years and 30 years QRM! This one is to thin in taste and body, 15 year slightly better. Good base Rum for Sipping! I expected a little bit more from this premium Rum but it is okay. Base Rum with sting! Okay in my opinion depending of what sort of taste you prefer, this could feel a little bit strong. Okay Rum but expected more! I did read a lot about it and was probobly expect to much. But it is okay Rum, but not to the price60 Euros! There is some strange aftertaste! This Rum differs some from other Rums! It is a taste that I never tested before, for some they like and others not. We where 3 testing and only one said that it was really good. Nice bottle with good content! This is a bottle that is liked among almost everybody and the content is really good in my opinion. Must have in every Rum collection! Good value product! After trying the younger Casique I did not have any big expectations trying this one. I had wrong, this is a very good Rum with balance and neutral. For your drink! I recommend this for different drinks and especially Cuba Libre! One more Plantation! My goal is to test the Plantation rum available on the market and my favorite so far is Plantation Jamaica 2001! I like A.H Riise assortment! This is recommended för Christmas and will give your friends something to talk about because it is not that common. Must for the Rum collector! Smell more then it delivers! Strong oak smell. expected to find more of it in taste! it needs to brief to deliver. getting better and better! good value Rum. Once again with 1423 product! This is only aged 4 years and you feel it, thin and without real Rum taste. Suggested for drinks or with litle water in it! Go for the 12 year instead. This is to much alcohol taste. Best for drinks! If not for drinks I suggest it to brief at least for 15-20 minutes! I prefer the 12 year old of course to a different price. Not bad but better for drinks! I have tested this one both in drinks ans straight, but prefer it in different drinks. I must say that it works straight also. Thin and more Whiskey then Rum! I expected more from this 15 year rum! It must been stored in Whiskey cask. It gets better after around 15 minutes briefing. Not my taste! I would use it for drinks but some of my friends like it straight up, normally the ones that likes Whiskey. Recommended for drinks! This is best tohether with Coke! if is used for spping I suggest to let it brief for at least 15 minutes, it becomes better then. Ok with Coke! Not greate as sipper! but ok for Coke drink and other drinks. One okay Rum but not more! This rum is a good base for drinks but could also go for straight up on rocks. Taste becomes better with dark chocolate! Not my kind of Rum unfortunately! To much smokey dry oak and alcohol taste. Not that sweet and short finnish as the flavours disappears to fast. I miss thebody! It is very alcoholic in its taste, thin with burn I would describe it. Not my cup of tea. Only recommended with Coke! 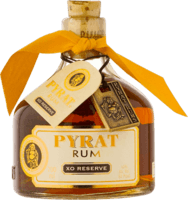 This Rum is npt like any other Rum I have tested. Only for Coke! Strange taste for dark rum! It is fun to have taste it but is not the product I would buy again. If in India and not ant other choise ok! artificial smell and taste. Recommended for various drinks! Good pricevalue and good to have for differents drinks but most recommended together with Coke. More Cognac then Rum! This is the closest Rum I tried so far that I thought was Cognac, the bottle looks lite it also. To sweet and to much citrus taste! I was disappointed over this rum that I have heard som much about. I also read among others that the taste used to be better in the paste. For drinks only!! 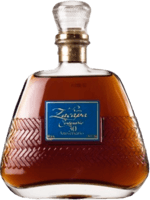 I recommend this one for drinks and for zipping choose 500 Extra Anejo instead. Okay for drinks! Not for sipping! okay for mixed drinks, wellpriced for that purpose. Only for drinks! I tried without Coke but it was not great, only recommended in drinks. For drinks only! This is in my opinion only for drinks! 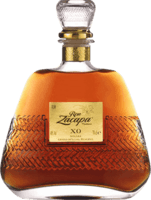 for zipping I recommend more expensive Ron Barcelo Rums. Only for drinks! Sorry, but this you could use only for the drinks. Different! I tested Bacardi against Legendario Elixir de Cuba. Easy choise, go for Legendario! Bacardi could be ok for grandma! Only for drinks! Use only in mixed drinks, bet there is better alternatives.